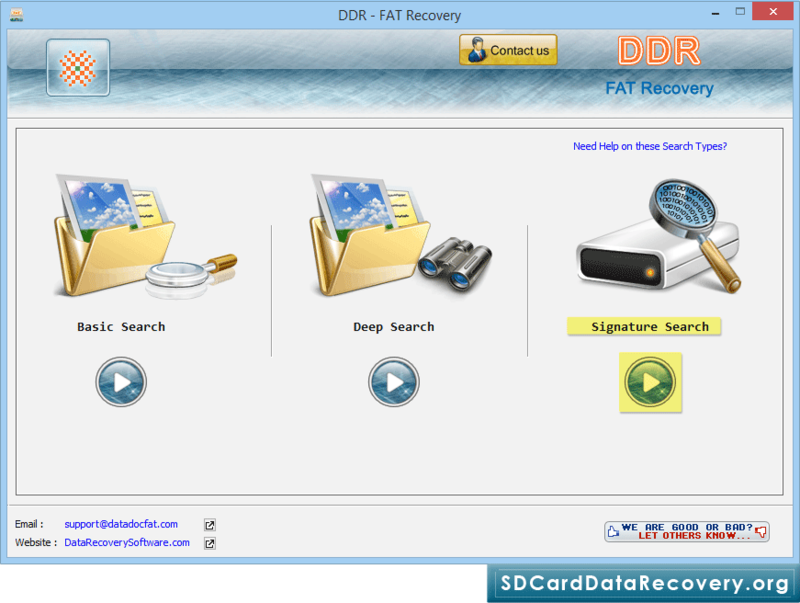 To restore lost data, software has three recovery modes. 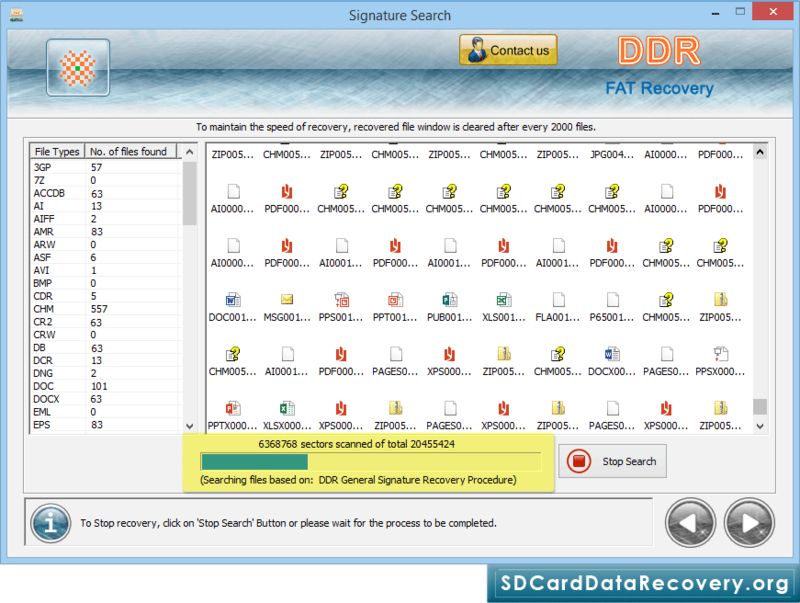 Select any one recovery mode as per requirements. 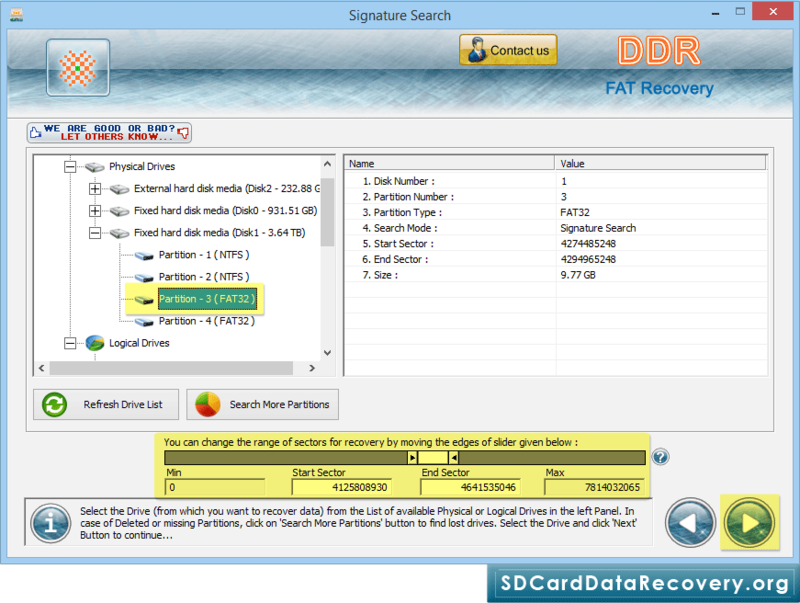 Select partition from which you want to restore lost files and click 'Next' button to proceed. 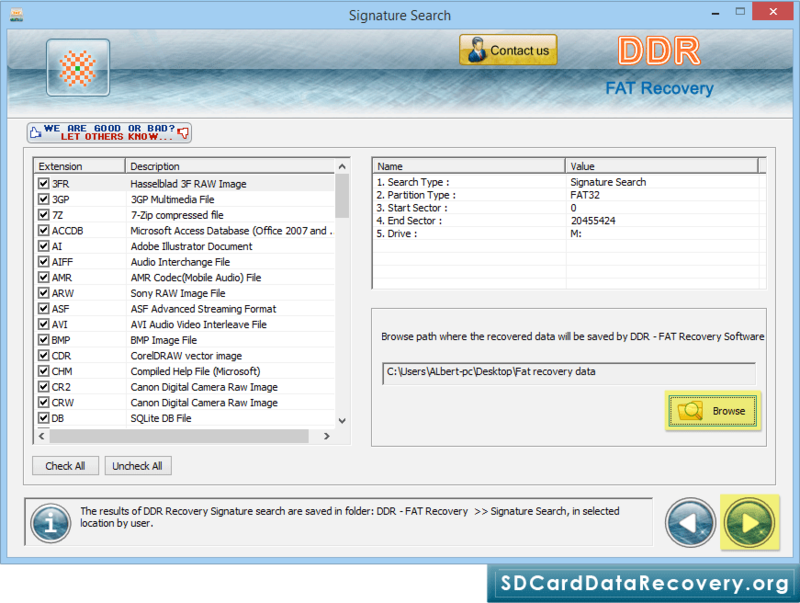 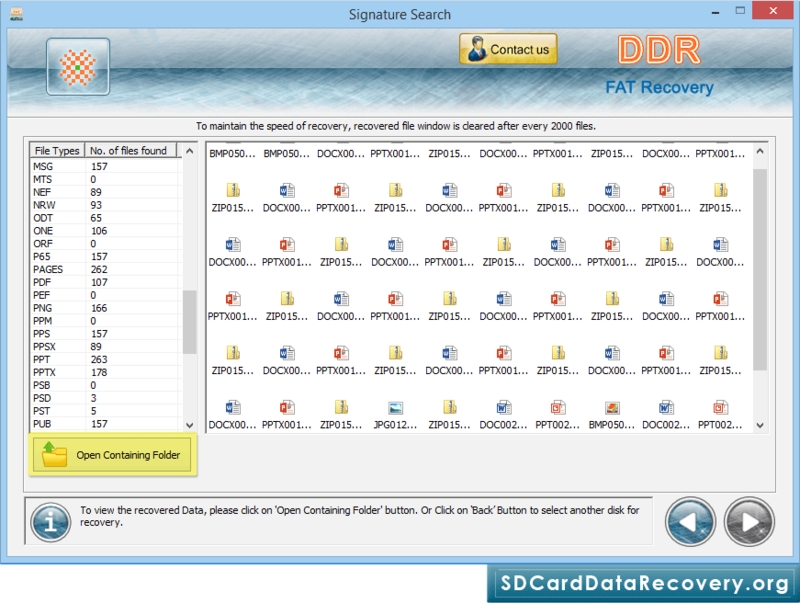 Data recovery process (using DDR General Signature Recovery Procedure) is going on.